The first Harry Potter book was published in Britain in 1997 – now with a major film franchise already behind us, a theme park, and countless bits of online fan fiction, those first seven books serve Potter-fanatics as a source for life-lessons, inspiration and comfort - not unlike religious texts. Today, the podcast that reads Potter like the bible. Plus, we cover the coverage of the US Open. Some say this is the golden age of tennis - so why do so many Americans need to be convinced to care? A writer argues American tennis coverage needs a reboot. The US Open tennis championship is in full swing. 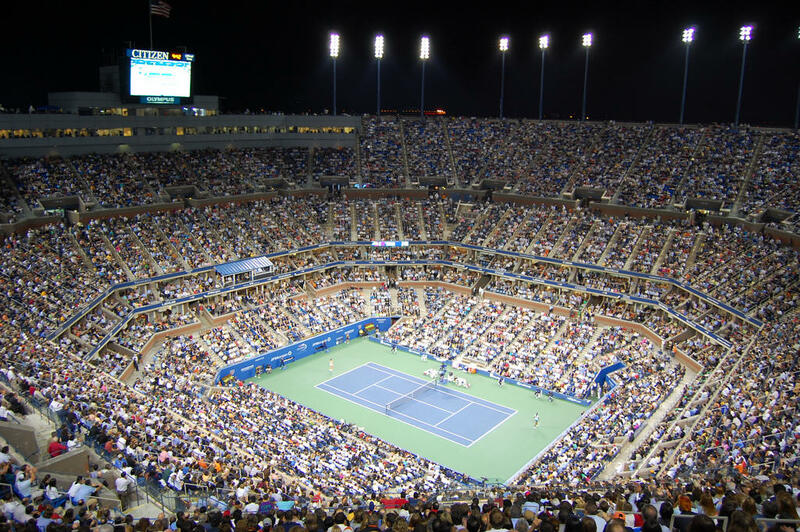 The fourth and final of the grand slam tournaments, the US Open showcases the world's best tennis players, but commentary from the event is not exactly setting the world on fire. Caitlin Thompson is the creator of the quarterly publication Racquet and she argues that tennis coverage in America needs a major reboot. She is also the co-host of the tennis podcast "The Main Draw" also about tennis, as evidenced by the pun. Researchers recently took a peek inside brown bag lunches to find out what the average parent is packing their kids for lunch, and the truth isn’t exactly appetizing. Boston Globe features writer Beth Teitell wrote about the study and the struggle parents face when preparing school lunches at home. The first Harry Potter book was published in Britain in 1997 by then first time author J.K. Rowling. Since then, there have been six more books, a franchise of movies, a theme park, spin-off stories, and more fan fiction than the internet knows what to do with. And this summer, the story went in a new direction, an official entry into the potter-verse that wasn't penned by its holy creator: a play about the-boy-who-lived, now a father, had an initial print run of 4.5 million copies - more than twice that of Harper Lee's highly anticipated Go Set a Watchman. If it sounds like we’re building to somewhere – we are. The point is, nearly twenty years after the first book was published - even with all this other stuff out there - people are still looking towards the original seven books s as a source for life- lessons, inspiration and comfort - not unlike sacred texts. And that's the idea behind a new podcast. Vanessa Zoltan is co-host of the Harry Potter and the Sacred Text podcast, along with Casper ter Kuile – the podcast is produced by Ariana Nedelman. Our biggest resident Potter fan, producer Molly Donahue spoke to Vanessa to find out more. Today on The Bookshelf, Peter Biello is speaking with Exeter author Paul Durham about his “Luck Uglies” series – the third installment, The Rise of the Ragged Clover, was recently published. One famously private author lived her whole life in the small town of Monroeville, quietly influencing those who knew her. Judy Belyeu grew up across the street from Harper Lee, author of To Kill A Mockingbird, and sat down with StoryCorps to share her childhood memories of Lee.